Shown with optional 24 inch solid side rack set, bi-fold tailgate, spare tire and spare tire mount. Overall Trailer Length - 145 in. 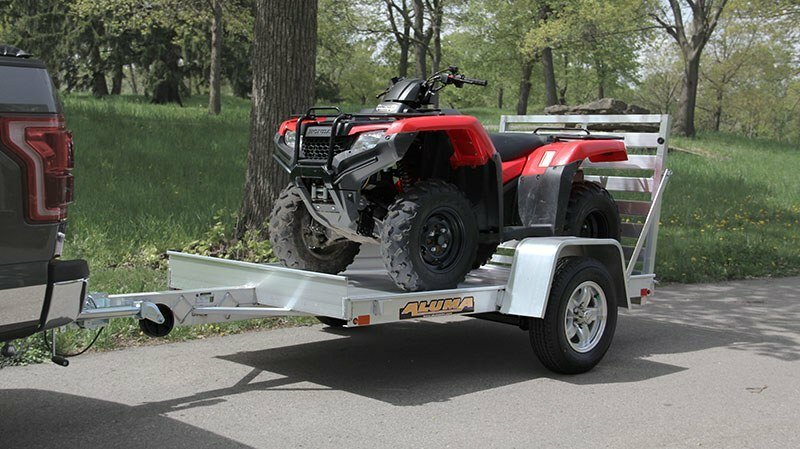 Overall Trailer Width - 75.5 in.